Hellllo m'fellow Trustinvoguers and newbies! My most sincere apologies for not posting in a while, i've actually been so preoccupied with exams, events and being blooming ill (typical!) that I haven't had the chance to post. But seeing as i'm feeling a little better today, I thought i'd do one for you all. 1. First up, is the Urban Decay Oz the Great & Powerful 'Theodora' Palette. IN LOVE. I need this in my life, I currently only have the Naked 2 palette, and Urban Decay is my favvv makeup brand, but at a hefty £35 it's a bit on the expensive side! However, it is limited edition, and it is Urban Decay! I can see myself using the red lip pencil quite a fair amount, especially the eye shadows as they're fairly neutral based colours to wear on both a daily basis as well as the occasional night out. Urban Decay are also well known for their super pigmented eye shadow, so I'm sure this palette is amazing. Fingers crossed I can purchase this soon! 2. I actually bought my first ever Revlon product - que the squeaks of shock! - that was the kissable balm stain which i absolutely loved. 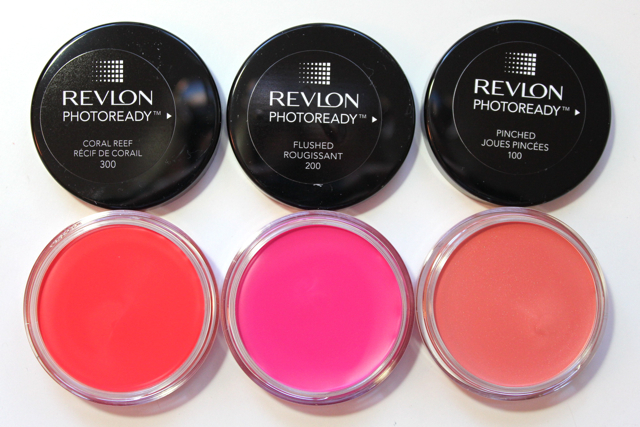 I'm really liking Revlon, and I SO want to try out the Revlon Photoready blushes, the colours look so pigmented and beautiful. They're the same price as the Kissable balm stain, retailing at £7.99. 3. The next product that I'm dying to buy at some point, is the glamorous Giorgio Armani Fluid Sheer Highlighter, which you place just above your cheekbones, under the arch of your brow or even in the corners of your eyes. I actually have this product and the foundation as a tester, and I'll share what it looks like and more in full detail soon. 4. After purchasing the Diorskin Forever foundation I immediately wished that I got the luxury of the Chanel brand for the same price tag. However I don't regret my decision, and hopefully i'll be getting this one when I have the money! 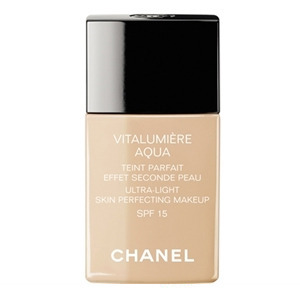 This is the Vitalumiere Aqua liquid foundation by Chanel. Perfection in a bottle for £32. What do you guys think to any of the above products? The Revlon blushes look so good! Chanel foundation has been on my wishlist for a while now! I'll definitely be trying the Revlon blushes when I get a chance, they look gorgeous!! Those Revlon blushes look beautiful - coming from someone who doesn't wear blusher!! The Naked palettes are also on my wishlist. Hey there, I've never tried these before but they all look so lovely! Hope you feel better now :) I love the look of the Oz palette, it seems so intriguing and I love the look of the rich colours!